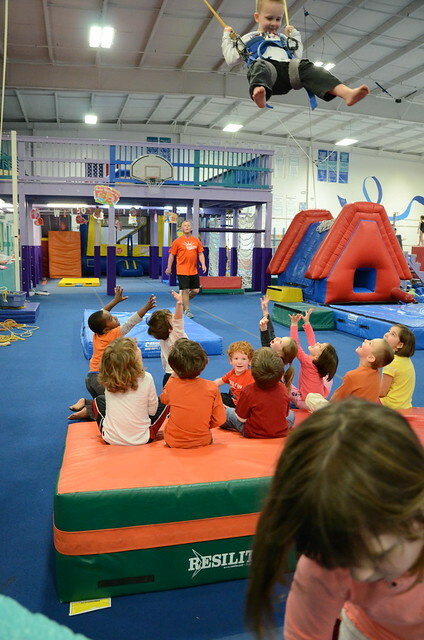 My nephew had his birthday party this weekend at a gymnastics facility. They let the birthday boy do the bungee. I think he enjoyed it. I know the kids had a blast!! OMG! I want to do that for my 40 something something birthday! SO great! I love how the kids underneath him are trying to "catch" him!